You’ll recall last time, I successfully made a collar and attached it to the neckband. 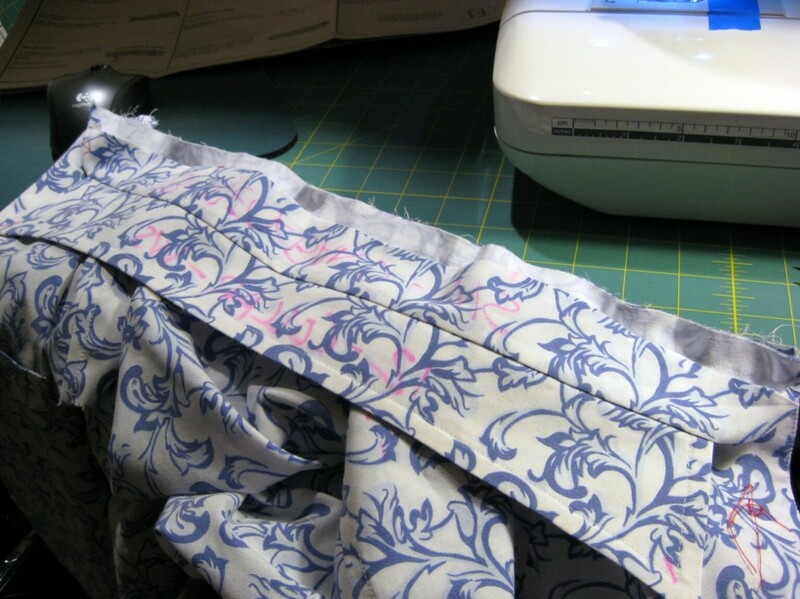 Now the neckband gets sewn onto the shirt. And this is where things go off the rails. The two pieces are unequal lengths – the neckband is the longer of the two, and so the two pieces need to be eased together. 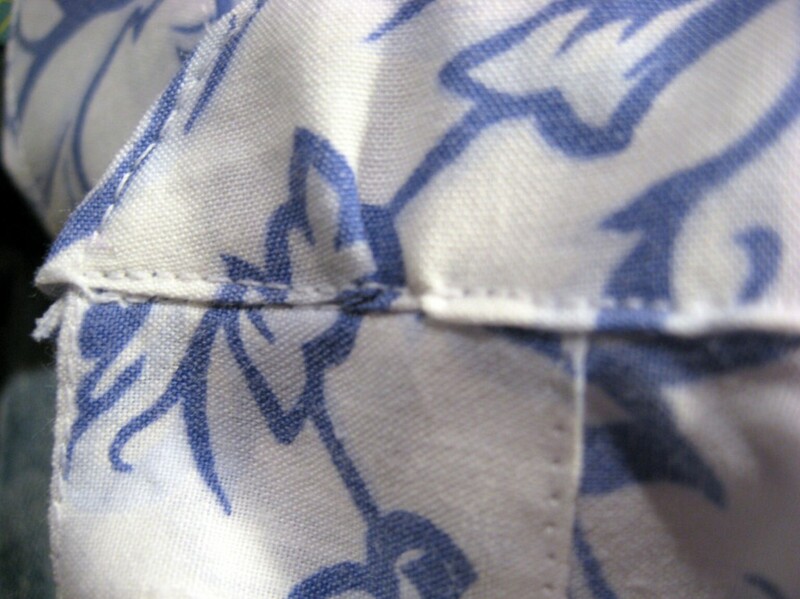 I couldn’t understand why Pam Howard stitched the seam with the neckband facing up. Because it’s the longer of the two, I figured you want it against the feed dogs so the machine will help ease the seam. So I ignore her and did it my way. 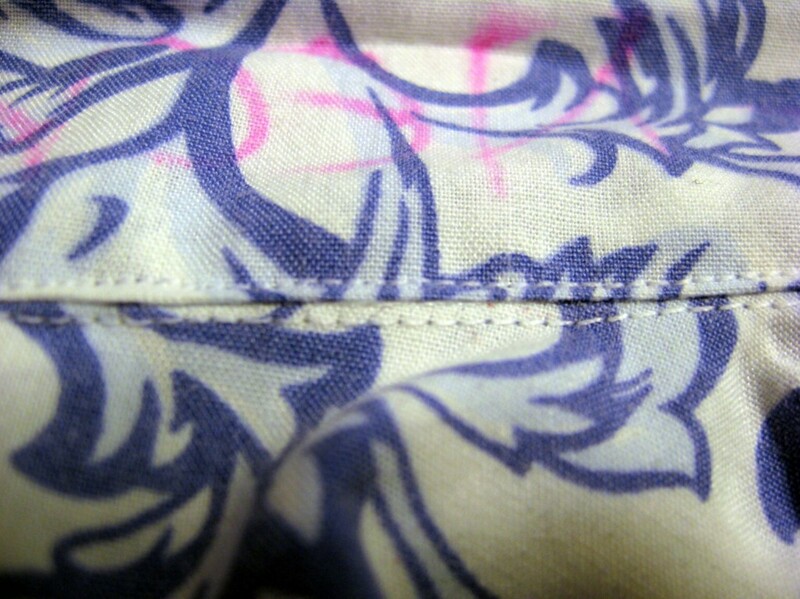 My attempts at easing the seam produced a pucker in the middle of the outside neckband. And sewing this way, with the neckband facing the feed dogs, the very edge of the inner facing got caught up in the stitch. 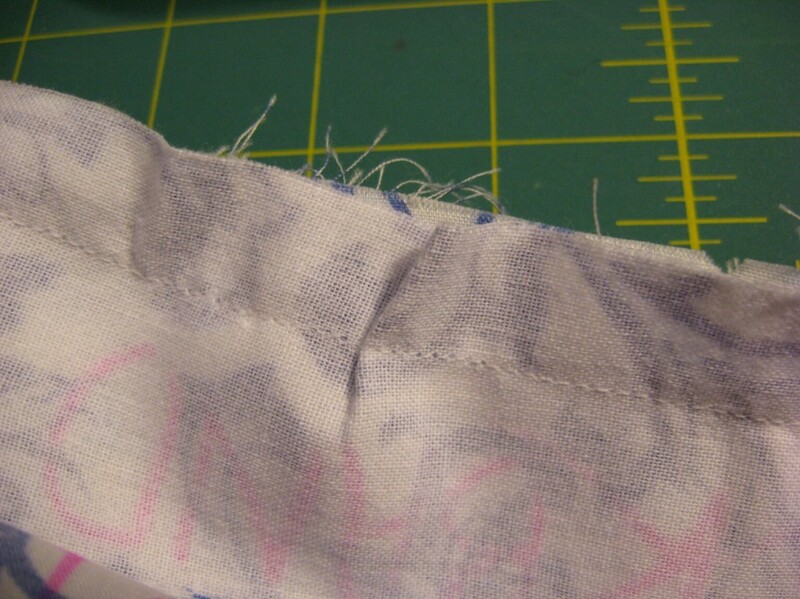 Here’s the edge of the inner facing, after I pulled those stitches and re-did them. You’ll notice the edge of the inner facing is still separate from the rest of the outer facing that’s attached to the shirt. Instead of trying to fix it somehow, I fudged it and moved on. That was a bigger mistake. 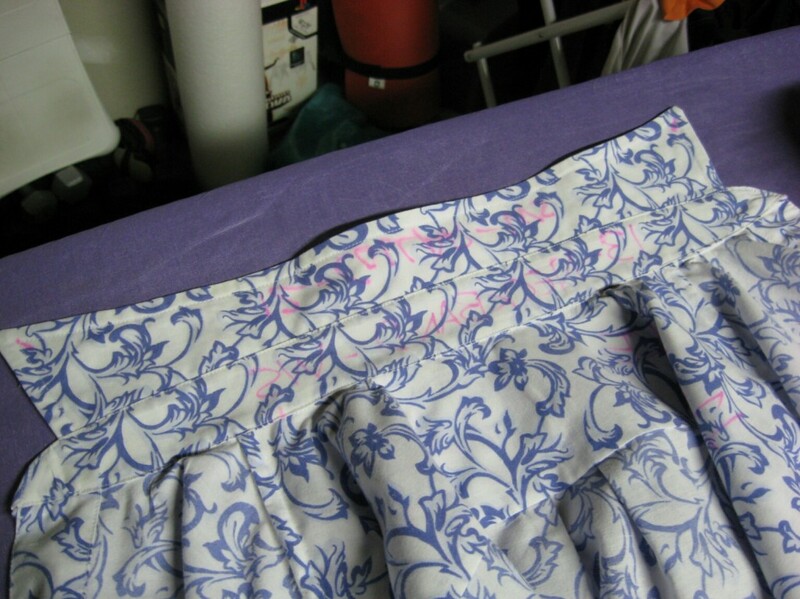 Anyway, I trimmed the seams and pinned down the inner facing so I could seal; the whole thing shut. 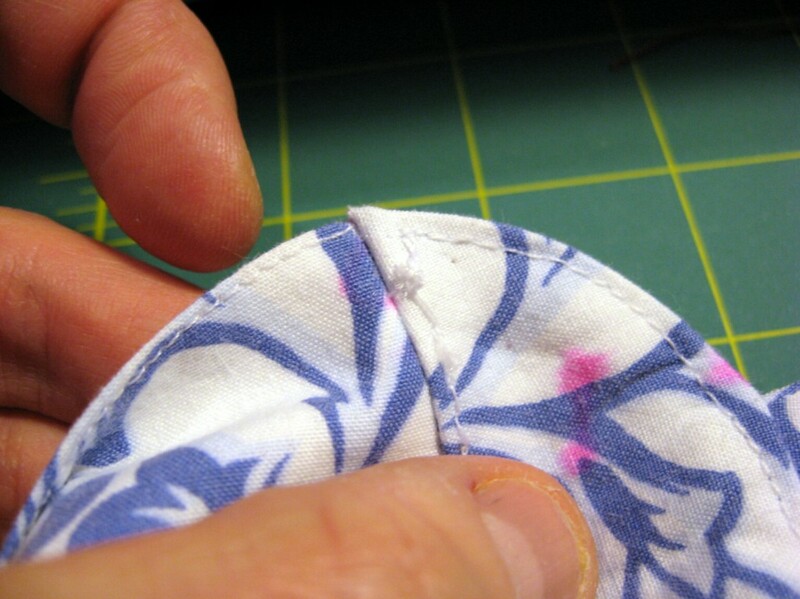 Pam Howard (and the pattern directions) have you sew this inner facing shut with a hand stitch. 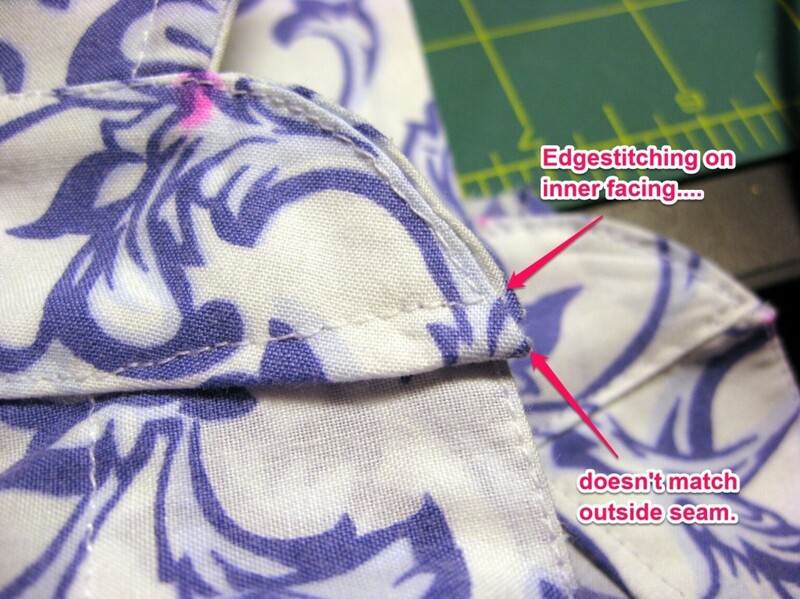 Screw that noise: I edge-stitched around the entire neckband facing by machine. 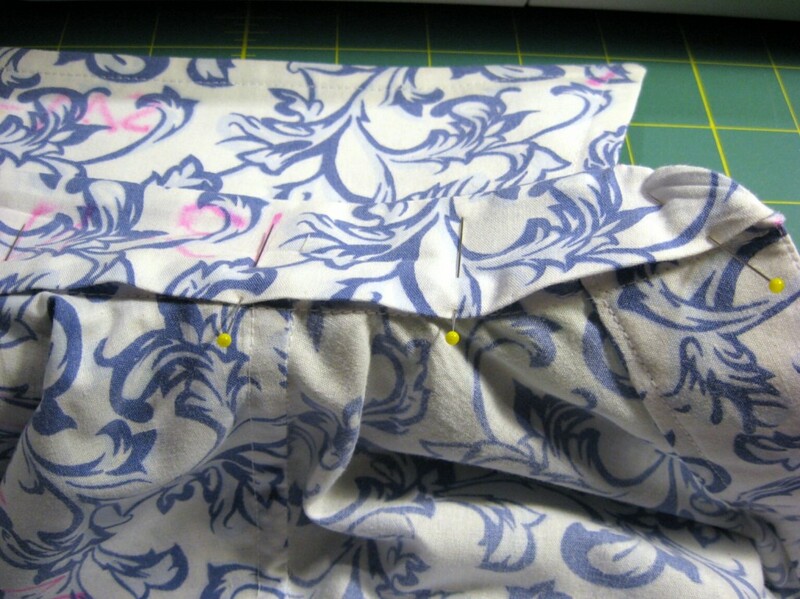 Use lighter interfacing, so the seams and corners of the neckbands won’t be so bumpy and hard to feed through the machine. 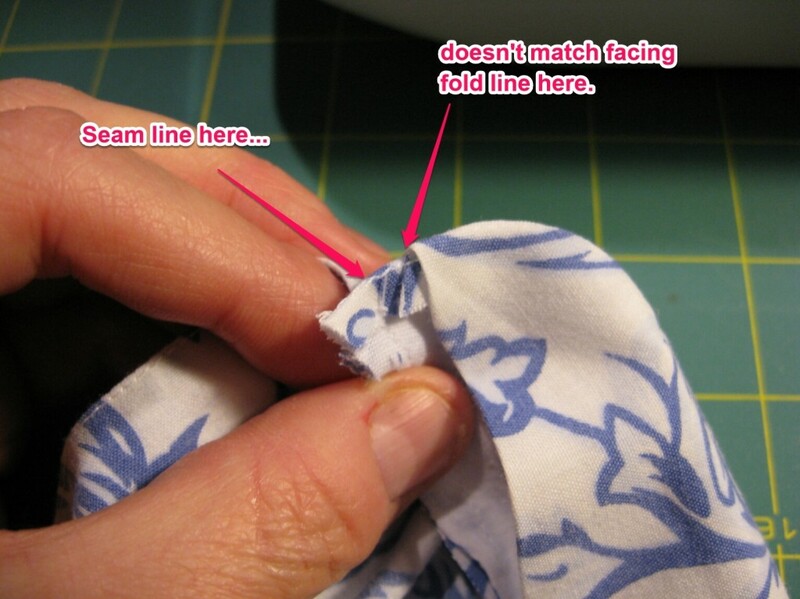 Pay careful attention to the seam alignment when attaching the neckband seam, and stitch with the neckband facing up rather than down. I’m not sure how I’m going to get the easing to work, though. DON’T use the edgestitching foot when edgestitching the neckband. I can edgestitch well enough by myself, and there were places when the edge guide of the foot caught on seams and caused feed problems. which showed up as uneven stitches. 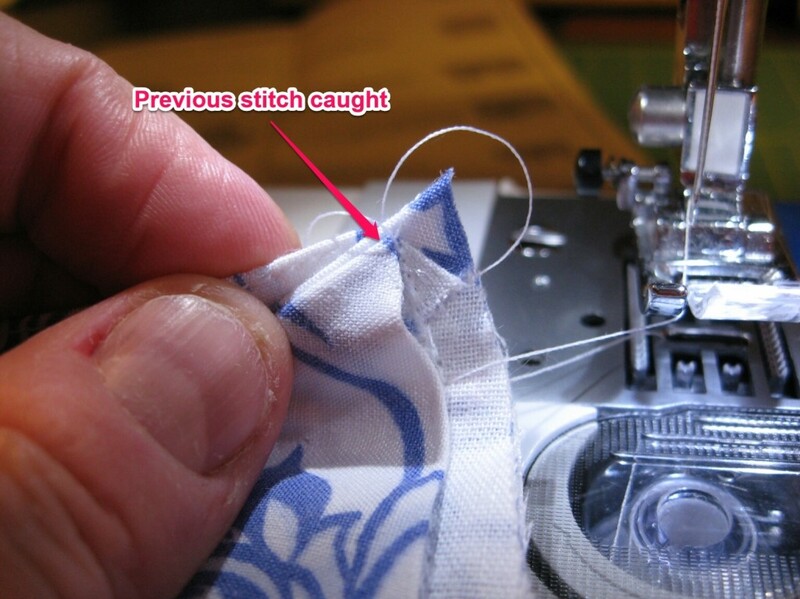 Work harder at taut sewing, which would have avoided the puckers. And last, hand-stitching the neckband before edgestitching would have provided proper basting first. Finally, though I was not supposed to backstitch at beginning/end of the edgestitching, I forgot to pull the threads through the middle of the neckband when I ended the seam. Ooops. Still, if you look at it from a distance, it came out okay. I considered pulling all the stitches and redoing it, but I’m going to accept it for what it is and resolve to do better on the next shirt. The point of this exercise is learning, not absolute perfection. This entry was posted in Shirts and tagged mccalls-2447 on January 23, 2013 by mportuesisf. this helped so much! thank you! !